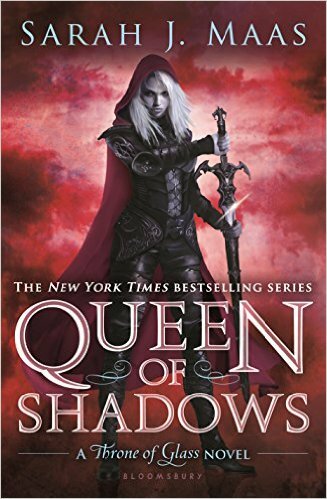 The first three books in the series have been excellent, but in this fourth installment of six, Sarah J. Maas steps up her character-development game for the characters grow and develop throughout the 600+ pages of this adventure in a masterful, believable way. The world-building that existed in the first three books continued and I was blown away as the characters became even more real, grappling with real problems in ways that are so human. Aelin’s storyline revisits her painful past as she must once more face her master, Abromyn, the king of thieves, who has inflicted so much pain in her life. While I despised him for his cunning and scheming, he stoops to new lows. I have to say though that the very fact that I have such negative emotion for this man, speaks volumes to the artistry with which this character developed. Aelin confronts him once more and comes away stronger for it. We again see Manon, the Blackbeak witch, whose character is forced to question militant authority and come to terms with the conflict between that and what she believes. While situations differ, her story is so relatable for most readers. We also see Lysandra and Kaltain reappear, each woman coming to terms with and finally acting out of the inner strength we suspected they held. And a new female is introduced, Elide, who I suspect will be pivotal in the final book. Love is also a central theme in this book. Romantic passions ebb and flow between Aelan and Rowan, her fae prince, in such a way that I found myself routing for love to triumph and overwhelm as they resist and struggle at points. Oh, what a great romance continues. Setup to the next book – I loved the long denouement of this book for I wasn’t ready to be done and Maas didn’t make me. Longer than many, I appreciated the length for it allowed me to recover from so many emotionally charged experiences.The resolution for all the various characters was well done and set up the next book without giving anything away. Overall, I found myself experiencing a rollercoaster of emotions. I shrieked at a few of the the plot twists, oohed at the play between Aelin and Rowen, and find myself a bit exhausted in the end. Well done! This definitely sounds like a great read. And I do know what you mean when you say there are books and then there are books… I just added this to my TBR! Thoughtful and thorough review. Not my genre at all but I liked the review. I count it all the more an honor that you read my review even though you’re not in to YA Fantasy… Thanks so much! What a fabulous review, this isn’t a genre I usually embrace, but your review left me wanting more! Thank you! Great review! I see I have some books to put on my list! Well done! I am wondering the same thing… why haven’t I read these yet? Fortunately, that can be remedied. I’m going to read this as soon as I finish my next book. Which will be before the holidays.